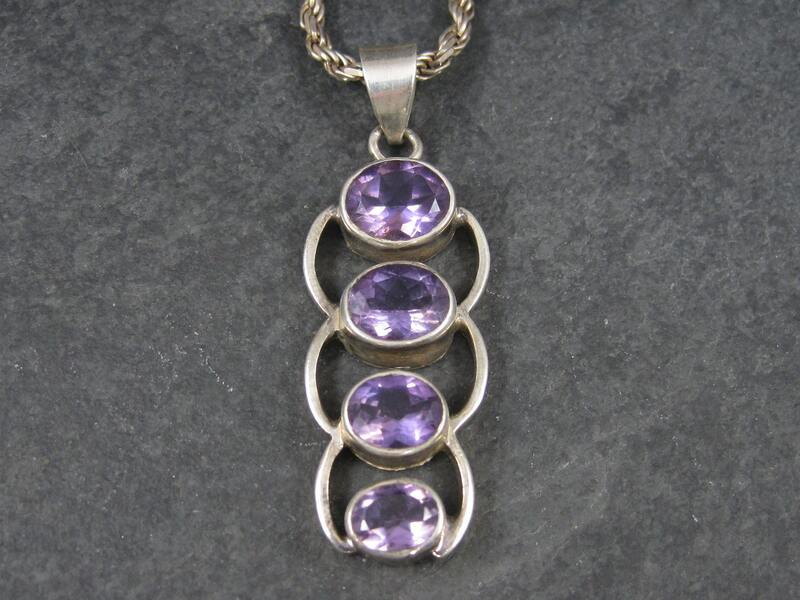 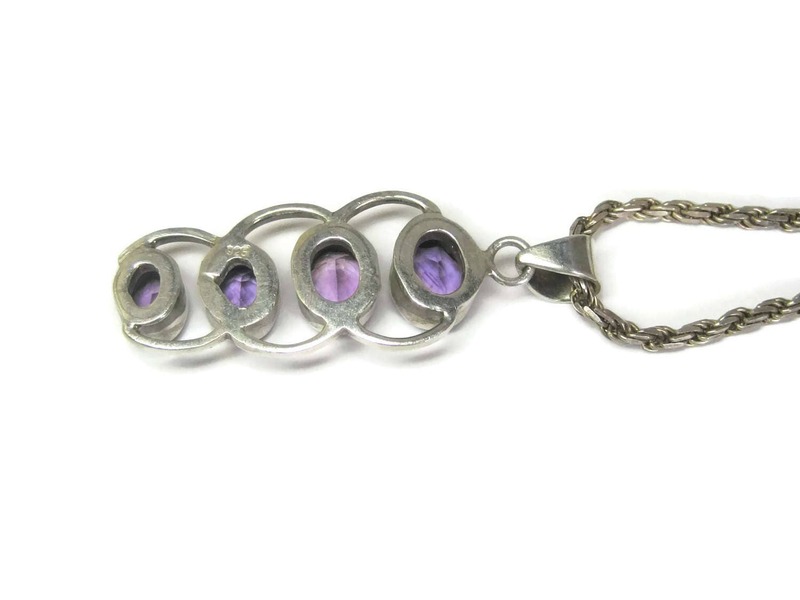 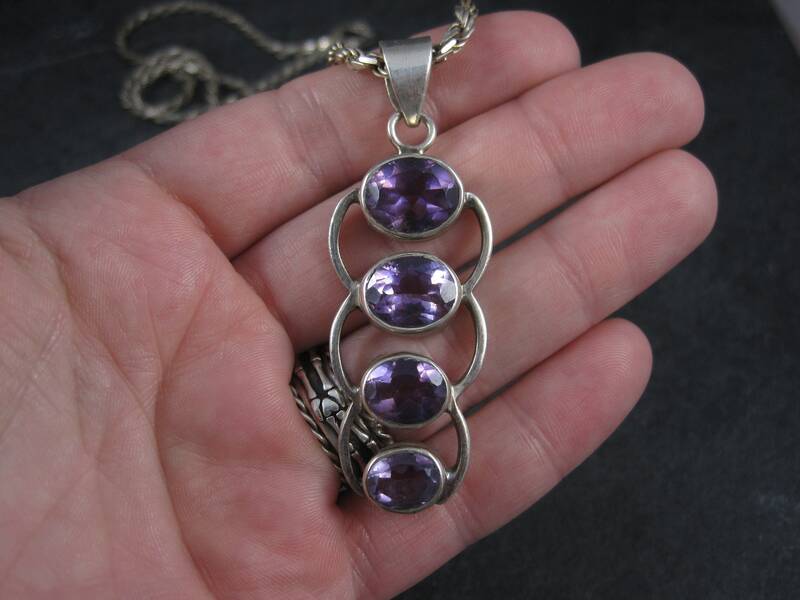 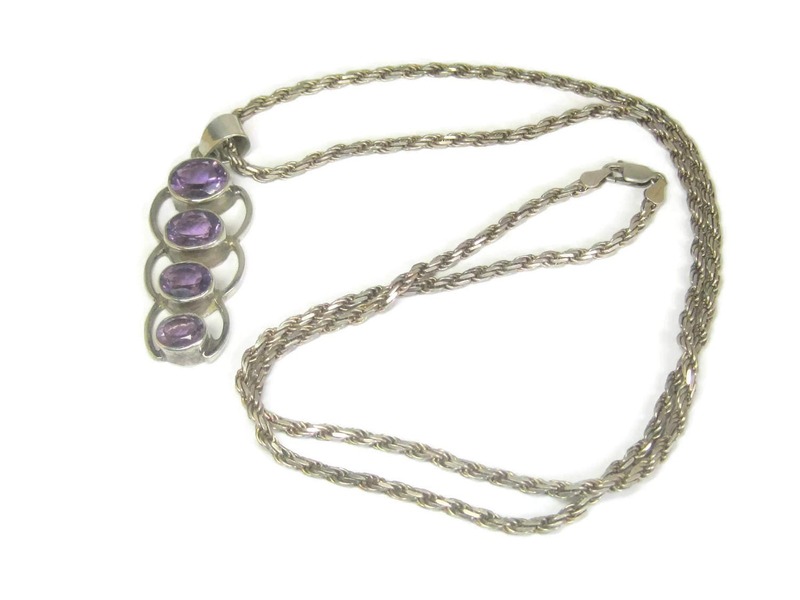 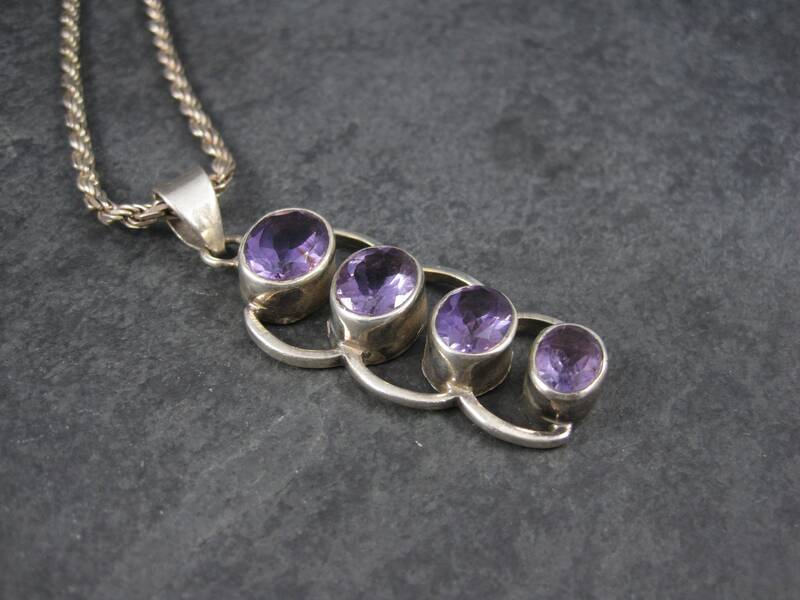 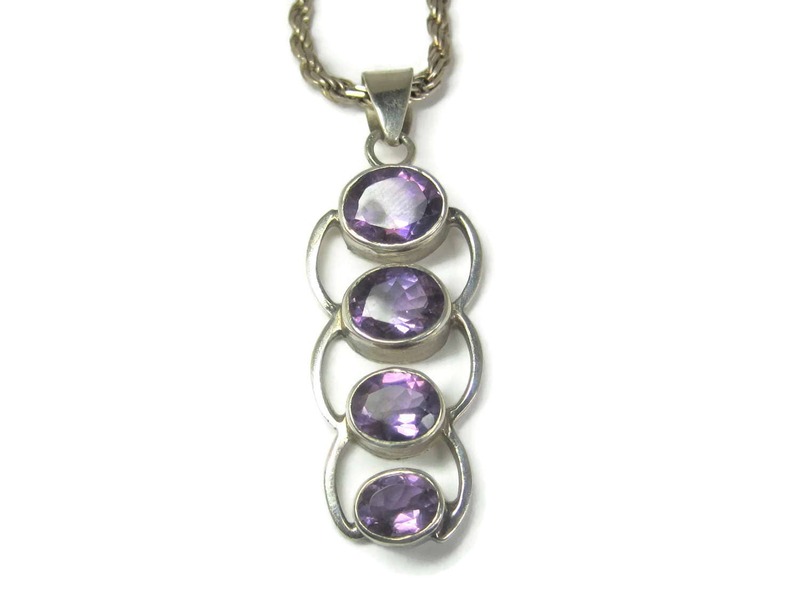 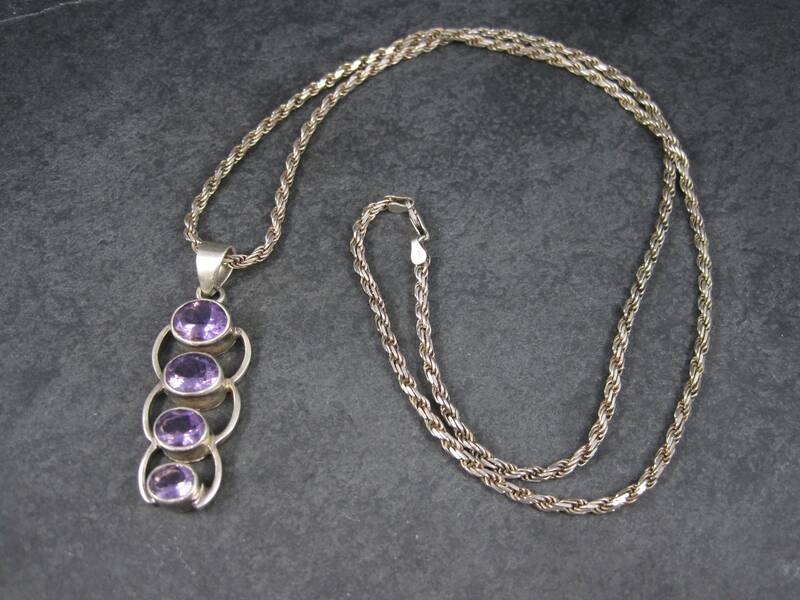 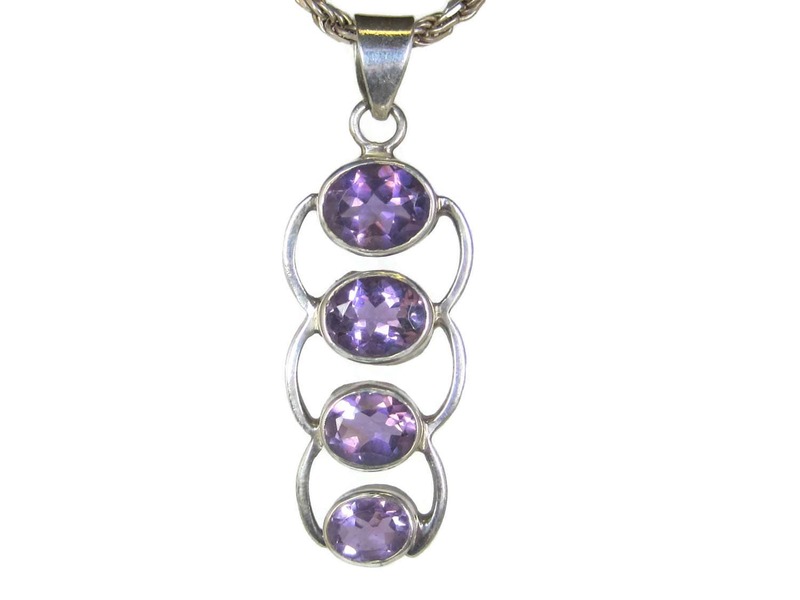 This beautiful sterling pendant features an estimated 11 carats in natural amethyst stones. 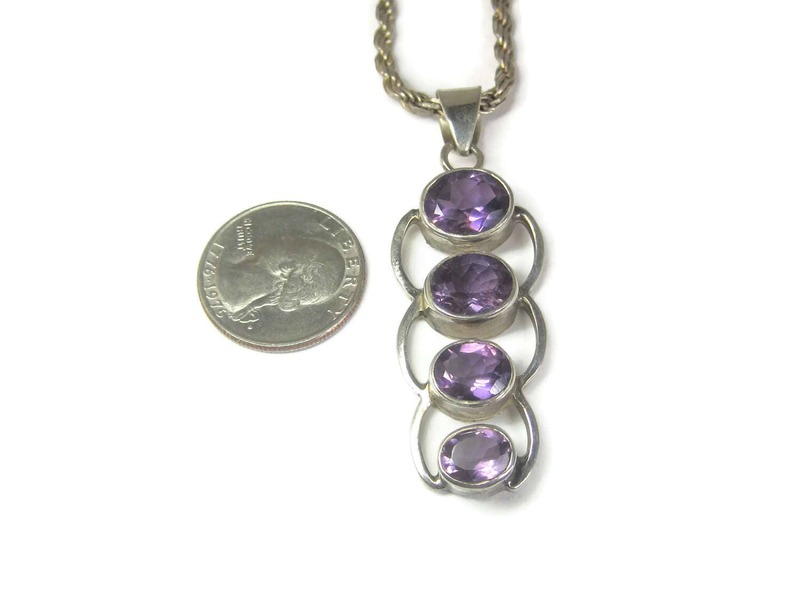 Measurements: 7/8 by 2 1/2 inches. 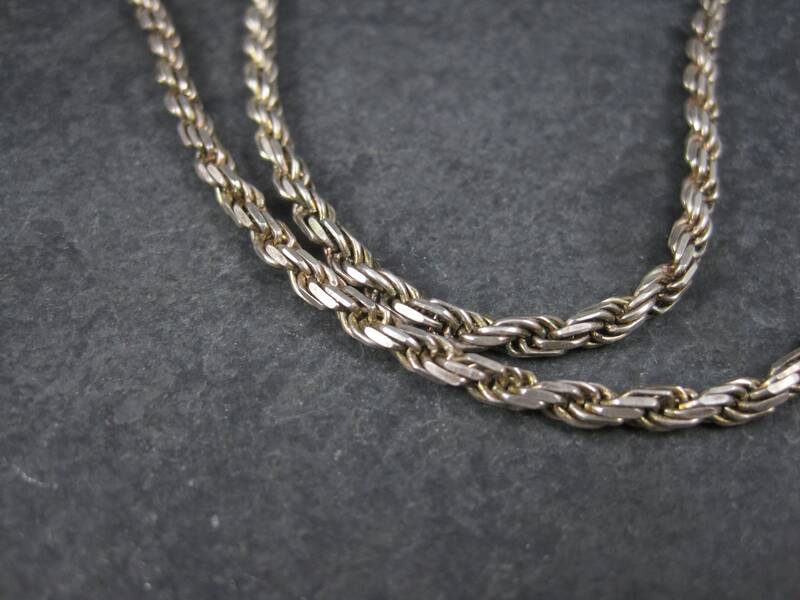 It comes with a 30 inch Italian sterling silver rope chain.